The best Krabi spa is So SPA with L’Occitane, a cocoon of tranquility that is designed for both singles and couples and offers a sublime range of experiences, from a Krabi massage through to a delicious rejuvenating journey with a Krabi spa package. Fragrant aromas and soothing oils will ease away aches and pains, and wraps and rubs will bring a glow of health. 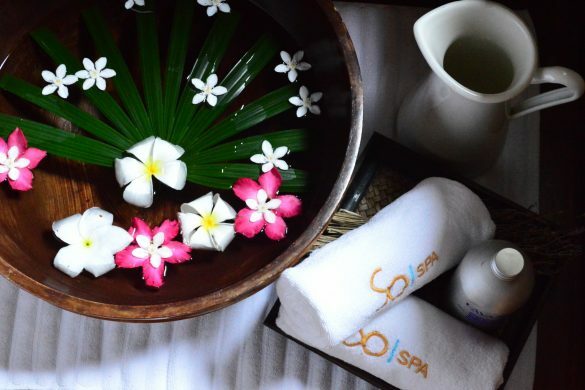 The decor is a delightful fusion of Thai teak wood interiors, the gentle scent of flowers and herbs, and the calming flow of water, and So SPA is an invitation to unwind, exhale and indulge. 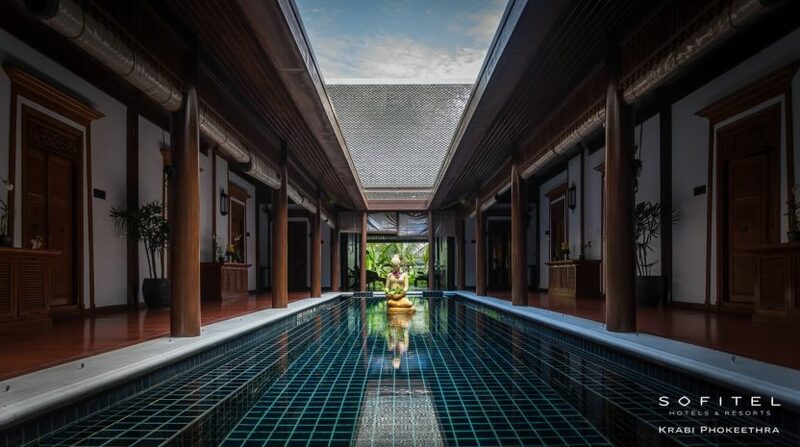 So SPA is located within the sweeping grounds of Sofitel Krabi Phokeethra Golf & Spa Resort, a purpose built traditional Thai style structure with stunning views overlooking the swimming pool and gardens, and surrounded by flowers and trees. It is close to the main hotel building and lobby area. Experience pure serenity in one of 12 intimate treatment rooms where art and elegance merge to create a relaxed and refined sanctuary. Through truly exceptional treatments, from a Krabi Thai massage through to rejuvenating, beauty and grooming treatments, So SPA’s skilled therapists use the expertise of L’Occitane to create journeys of renewal. Savour each moment at this Krabi spa with treatments such as a So Exhilarating Body Massage, So Rejuvenating Facial, Immortelle Secrets, and Taste of Heaven. So Exhilarating Body Massage A 60-minute vigorous body massage designed to tone your body, ease aching muscles and leave you feeling totally relaxed. So Rejuvenating Facial Treatment A 60-minute refreshing facial treatment using honey and cucumber harmoniously combined with French technique to revlitalise your skin and leave you looking youthful.